Will You Be The Bug Or The Windshield? 2 hour video showing you how to generate risk adjusted returns in unstable markets, take advantage of high-growth cyclical sectors, protect your capital & legally minimize your taxes before & during retirement. Legally Reduce Corporate Tax, Save 50% more for Retirement, Cut tax on Business Sale, & Reduce Portfolio Risk. This FREE series of short videos focuses on identifying, understanding and solving the most pressing financial challenges of investors over 50. Worried about the next financial crisis but still need to retire securely? In this 45 minute webinar we'll identify and solve the 3 biggest challenges facing investors over age 50. No fluff, just straight talk. 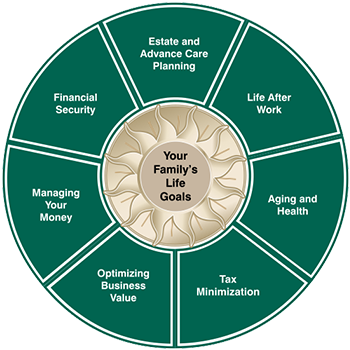 which revolves around your Life Goals™. to deal with the pending Defined Benefit Pension Crisis. Click here to request your copy of this important article. guiding you to the achievement of your Life Goals™. © 2019 Integrated Wealth Management. All Rights Reserved.